My name is Courtney, I am 26, my favorite anime is Sailor Moon and just beginning making my own AMVs! 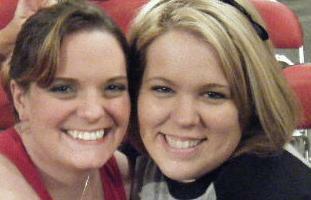 The blonde in my pic is my best friend Amy who I have known since I was 11! Also, I am a huge Heart fan and they are my favorite band and this pic was taken at one of their concerts.